Need a fun winter inspired project that also includes a nod to art history? Here you go! 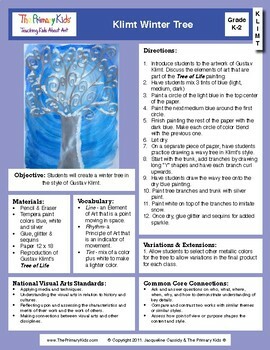 This lesson is inspired by Gustav Klimt's "Tree of Life" painting with a winter twist. 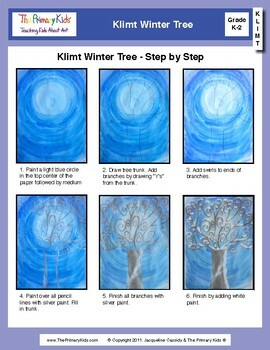 The lesson includes step by step work sheet on how to draw a curly tree and directions on how to paint your winter tree. 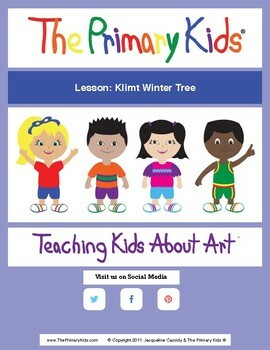 Adapt this lesson for other seasons, Fall leaves or Spring flowers. 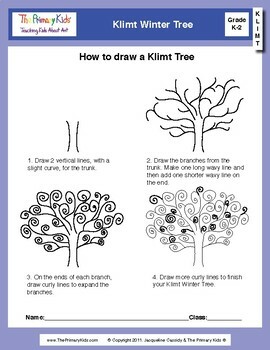 The curly tree directions are adaptable to other seasons.